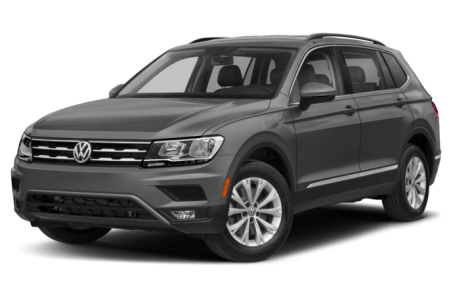 The 2019 Volkswagen Tiguan is a compact SUV that seats five passengers. Maximum cargo capacity is 65.7 cubic feet with the rear seat folded down. Six trims are available: S, SE, SEL, SEL R-Line, SEL Premium, and SEL Premium R-Line. Under the hood, the Tiguan is powered by a 184-hp, turbocharged 2.0-liter four-cylinder engine mated to an eight-speed automatic transmission. Front-wheel drive comes standard, while all-wheel drive is available. With all-wheel drive, the Tiguan has four driver-selectable modes for on- and off-road driving.